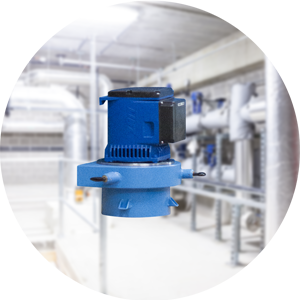 Pelton turbines IREM Ecowatt Hydro specific for installations on aqueduct respond to the European normative on the process and on the usable materials in contact with the drinking water. This scope is controlled in Europe by the directive DE 98/83/CE, transpose in Italy D.M. 174/2004, amongst the most restrictive standards in Europe referring to the security and quality requirements. The hydroelectric turbines IREM Ecowatt Hydro for installation on aqueduct have obtained the certification D.M. 174/2004, certified by an external company, subsequently to an articulated verification and implementation of processes and materials. The certification has concerned all the phases of product development and realization: design, manufacture and documentation of the hydroelectric turbines Irem Ecowatt Hydro. All the news of IREM Hydro Line are illustrated in the new 2019 catalogue. 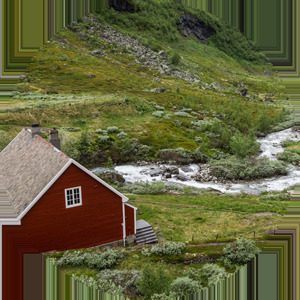 The environmental flow describes the release water flow that a hydraulic derivation work must guarantee in the river or stream on which this work is built. Also the Banki hydroelectric turbines of IREM Ecowatt Hydro Range can be produced in certified version DM 174/2004 for use on drinking water. This type of hydroelectric plants is used when the electrical power is really low and there isn’t a national grid. 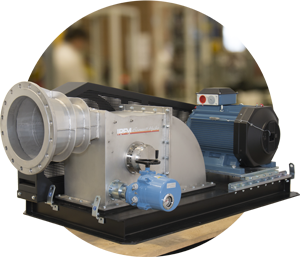 Highly automated hydroelectric systems: even for stand-alone systems! 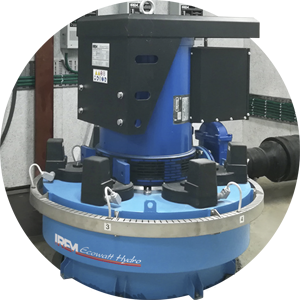 IREM Ecowatt Hydro solution, designed for hydroelectric plants in autonomous operation, is suitable for different levels of automation to meet the specific needs of the installation site in the best way. 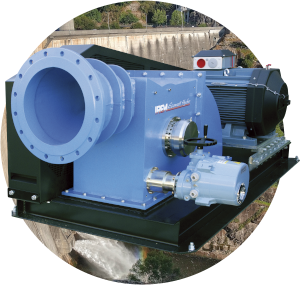 The IREM Hydroelectric Turbines and the other products of the serie Ecowatt Hydro offers a complete line range of specific solutions for this application of stand-alone plants.